Lytle was born in Murfreesboro, Tennessee sometime in 1875 to parents John R. and Mary Ann “Mollie” Lytle. The Lytle family, which also included three other siblings and her grandmother, migrated to Kansas in 1882 shortly after the Exoduster Movement which took over six thousand Southern African Americans to the state. Lutie and her siblings attended local schools, including Topeka High School. Her father became active in Populist politics and ran unsuccessfully for the post of city jailor. Lutie followed her father in the Populist Party and was eventually appointed an assistant enrolling clerk for the Kansas legislature. During her late teens, she also worked for one of the several black newspapers in the city. When she turned 21, Lutie Lytle moved to Chattanooga, Tennessee where she became a school teacher and saved part of her earnings to help finance her law school tuition at Central Tennessee College in Nashville. Lytle completed her studies at Central Tennessee College and in September 1897 she was to practice law in the Criminal Court in Memphis, Tennessee, after she successfully passed an oral exam. At the time Lytle was reportedly the first African American woman to be licensed to practice law in Tennessee, and the third in the United States. 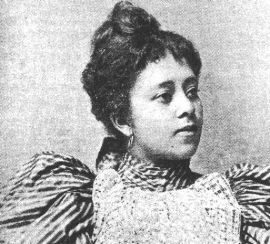 Lytle however soon returned to her hometown, Topeka, where she became the first African American woman admitted to the Kansas State bar. In 1898, Lytle announced that she would become a part of the faculty at Central Tennessee University. Although newspaper accounts which claimed that she was the only female law instructor in the world at that time may have exaggerated her accomplishment, there is no question that her status as a black woman on a 19th Century law school faculty was exceedingly rare. Lytle served only one year in this position. By 1910, Lytle was living in Brooklyn, New York, with her husband Alfred C. Cowan, who was also a lawyer. The couple often attended the annual convention of what is now the National Bar Association, the professional organization for African American attorneys. Lytle was the first black woman to become a member of the Association and she and her husband were the first married couple to participate as attorneys in the organization. Lutie Lytle and her husband bore no children and the exact date of her death is unknown.